Windows 10’s adoption and growth rate in Africa is but at a very slow rate. It sits at only 26% among Windows desktop versions in Africa. It has been more than two years since Microsoft released Windows 10 officially. One would expect that by now its market share usage will be higher than previous Windows versions. That hasn’t been the case. Data from StatCounter shows Windows 7 still has a very high market share in Africa. At 51.54% of all windows desktop versions this is pretty staggering. Considering mainstream support for Windows 7 SP1 ended in January 2015. Of course security fixes are still available to Windows 7 SP1 users till January 2020 under the free extended support. Windows 10 has a market share of 26.14 percent of Windows desktop versions in Africa. Followed by Windows 8.1 at 10.44 percent of the market share. Windows vista apparently still has some very loyal users as well. I personally find only 26.14 5 market users interesting because Windows 10 was a free upgrade. The high cost of buying an operating system or an upgrade has been a problem for most users. Most will resort to using a downloaded pirated copy instead which exposes the user to cyber threats. So there are instances that I’ve seen or heard of about 10 people doing an upgrade from a single download. This will be typical in any area of Africa, where a friend goes like my disk/PC crashed do have any OS? Or a computer technician “buys” one license and uses only that for all the PC upgrades he/she is called to do. I think the high cost of Data charges will deter some people from upgrading unless they are connected to free Wi-Fi huh? How does the Windows desktop versions market share compare across Africa? The statistics above show the market share for users in Kenya, Ghana, South Africa and Nigeria. 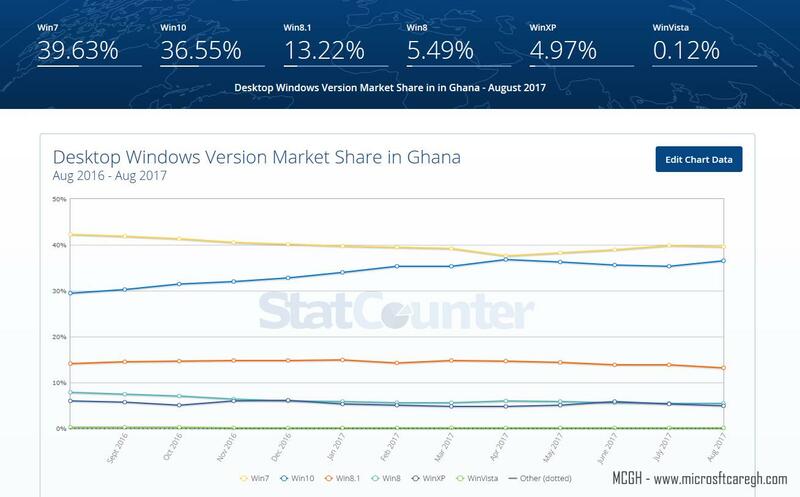 It shows growth adoption for Windows 10 in these countries but a bit of indecisive hesitation around April 2017 in Ghana lol. Maybe The creators update didn’t seem to go well and most of them downgraded to 7? Windows XP is the fourth widely used version with a 5% and 2.99% user rate in Kenya and South Africa respectively. Windows 8.1 devices are at an incredibly 13.22% of user shares in Ghana. Forced Windows 10 automatic updates didn’t get to them, obviously PC’s used offline often? What will Microsoft have to do to get more people in Africa to upgrade their PC’s to Windows 10. I haven’t mentioned anything on what version of Windows 10 the upgraded devices are running. On the 17th of October, the Fall creators update arrives to Windows users. This update arrives with more fixes and some impressive features. This will be a good opportunity for Microsoft offices around the continent to push for more upgrades. 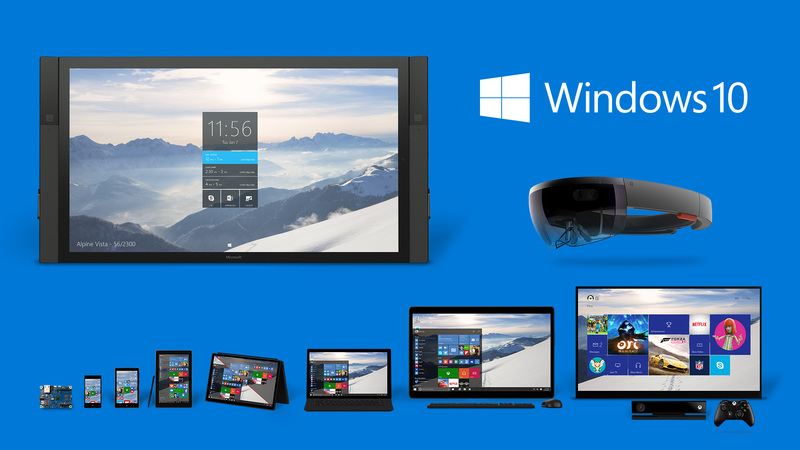 If Microsoft wants to get to a billion Windows 10 devices in the planned 3rd year this will be how to do it. I know Microsoft has said this isn’t going to happen with the adoption rate slowing down. What do you think about these adoption rates? Are you still holding out on upgrading? Share your thoughts with us in the comments.